Video clip synopsis – Charles Perkins’ involvement in the Freedom Ride through rural New South Wales in the early 1960s played a crucial role in demonstrating that Aboriginal people could begin to stand up for themselves. Broadband MP4 perkfree_bb.mp4 (4.4MB), suitable for iPods and computer downloads. Charles Perkins – Freedom Ride is an excerpt from the program Charles Perkins (26 mins), an episode of Australian Biography Series 7 (7×26 mins), produced in 1999. Charles Perkins: In a life of exceptional achievement, Charles Perkins, soccer star, university graduate, Aboriginal activist and Canberra bureaucrat, has often been in strife. In this interview he gives his own account of the personal experiences that fuelled his great anger against white injustice and his determination to fight for Aboriginal rights. Australian Biography Series 7: The Australian Biography series profiles some of the most extraordinary Australians of our time. Many have had a major impact on the nation’s cultural, political and social life. All are remarkable and inspiring people who have reached a stage in their lives where they can look back and reflect. Through revealing in-depth interviews, they share their stories – of beginnings and challenges, landmarks and turning points. In so doing, they provide us with an invaluable archival record and a unique perspective on the roads we, as a country, have travelled. Australian Biography Series 7 is a Film Australia National Interest Program. In February 1965, inspired by the Freedom Rides that had been taking place in the southern states of the USA during the civil rights campaign to expose racist legislation and long-standing attitudes affecting the lives of Afro-Americans, Charles Perkins co-led of a group of 30 students from Sydney University who, in a hire bus traveled through the townships of rural New South Wales. The group was called the Student Action for Aboriginals (SAFA). Their objective was similar to that of the American Freedom Riders: to expose embedded and entrenched racism against Indigenous Australians, and to draw attention throughout Australia to their poor living conditions. The students protested and demonstrated against racial segregation and discrimination taking place in various locations such as town hotels, shops, cinemas, swimming pools, RSL clubs and public parks. They often encountered hostile reactions from the local citizens, and there were violent incidents. In Walgett their bus was rammed off the road. It is claimed that the violence was so bad that their hired bus driver left halfway through the tour. The Freedom Riders gained wide media publicity throughout Australia and internationally, arousing awareness of the plight of Indigenous Australians. Their actions were significant for, two years later, in the national referendum of 1967, the Australian people voted overwhelmingly in favour of removing individual state control over the way Indigenous people were governed and treated, gradually leading to many much-needed reforms at federal level. Comment on Charles Perkins’ personal view of the purpose of the Freedom Ride through rural New South Wales. Comment on the purpose of the camera shots during the video of an Aboriginal fringe settlement, and your reaction to these scenes. Does the voice-over during these scenes affect their emotional impact? Charles Perkins says of the Freedom Ride that the “timing was right”. Explain what you think he means by this. Research the Freedom Ride then present an illustrated poster display about it. You may first wish to discuss in class the various elements of the Ride – examples may be the participants, the places visited, the incidents that took place, the way it was presented in the Australian and world media, and the possible outcomes and long-term influence and effect of the Ride – then concentrate your poster display on one aspect of it. Through this approach your class should be able to build a full historical account. 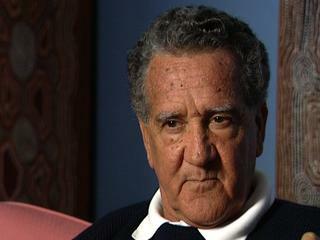 During the video clip Charles Perkins draws attention to the many negative aspects of life in the rural towns of New South Wales (and other regions of Australia) that Indigenous people had to endure. In pairs plan and write a play scene based on any of this and, with other members of the class as required, rehearse then carry out a play reading, or act it out to the class. If your scene is written for radio, where you are relying on sound only, you may wish to record it for playback as a sound file on your school’s intranet. Research then write an assessment in 400–500 words of Charles Perkins’ achievements as a campaigner for Aboriginal rights.